With a PAX Australia showcase that included the surreal and artistic Gris and the comedic combat of My Friend Pedro, Devolver Digital continues to live up to its reputation as the game’s industry’s eclectic “punk” publisher. We caught up with Devolver Digital co-founder Graeme Struthers at this year’s PAX Australia to chat about what’s changed in the nine years since Devolver Digital found its footing. Graeme says "I think that when we started out we kinda had to invent jobs for ourselves. That was part of it." “In the days of physical goods, even if you got it right - by that I mean you've got a good game, you've got your inventory shipped to retailers across the world - you may not get paid for four of five months because that's the way that system worked. And you've already funded the game, and you've funded all the manufacturing and distribution, so cashflow is a killer for a lot of small companies." Graeme says that all changed when Steam came along. “I remember the epiphany was that we get paid every month now for what we paid last month and that was groundbreaking for us." When asked if this paradigm shift in the publishing space contributed to the ever-increasing torrent of games now releasing on the platform, Graeme is quick to push back. He says that there are plenty of other factors. "I don't know about that. I think we try. We're a very small company so we're kinda limiting [ourselves] in that regard. We try to push out maybe 15 projects in 2018 and even less in 2019 because truthfully when you are a small company and you try to do more than you're set up to do you start to fail because you can't do your job well." According to him, "there's a lot more games coming out but that's a product of having access to great tools like Unity, Unreal and GameMaker. You've got platforms that are welcoming, saying ‘OK you can come here’. There aren't many rules you have to respect. And there's a generation of people who want to have a go. So I think that's all good." 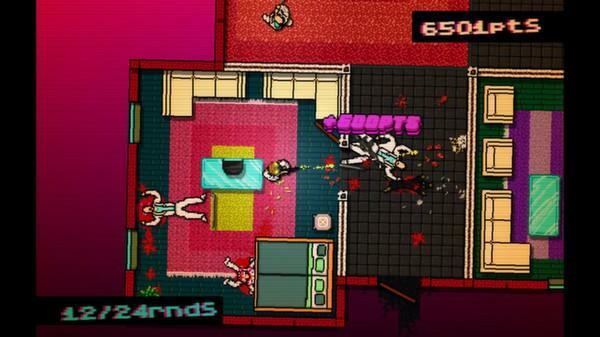 For many players now familiar with the indie publisher, Hotline Miami was the first Devolver Digital title they encountered. 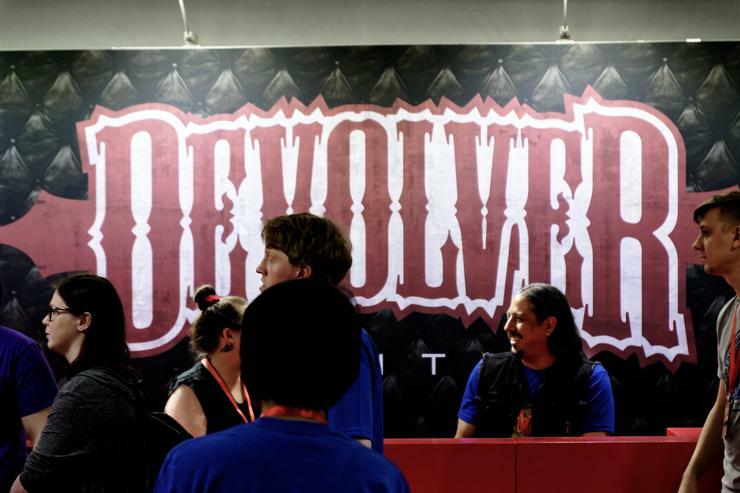 During our chat, we couldn’t help but ask whether Devolver Digital and Dennaton Games might collaborate again. Graeme told us he’s nothing to share on that front. At least not yet. “They're working on a project and we'll know about it when they choose to tell us." Still, he’s confident that whatever Dennaton do next, it probably won’t be a Hotline Miami 3. "When they finished Hotline Miami 2, they made a level editor and said ‘you can go make Hotline Miami 3’. They've been very clear on that. They're moving on." Asked about whether the company’s success since the first Hotline Miami has radically changed the way Devolver Digital operates, Graeme sounds confident when he says it hasn’t. "Not sure that that much has changed really. I mean, there's more of us. Back then, there was just the five of us but now we've scaled up in the last seven years to fourteen." "I guess the only thing I would say has changed for us is that we've started dabbling with mobile, which I don't think we would have considered back then because that seemed a world that required you to understand free to play or match-three. It never looked like a place that we could release the kinds of games we were interested in but that's turned out to be incorrect, which is a nice surprise." Graeme says "our fourteenth Devolver is a guy who's joined us from Apple called Mark Hickey. We kinda felt that we needed to get some expertise [in mobile]. 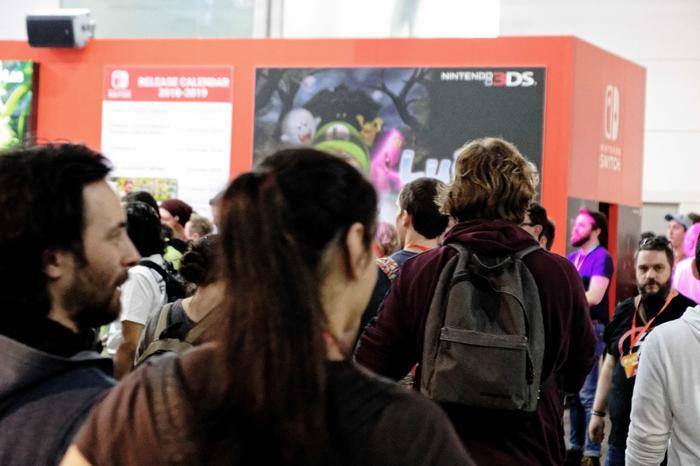 If we're going to represent a developers game, we should know what we're doing. So we're pretty excited about that." Steam is still seen as the biggest playground in PC gaming by the company, despite repeated and recent controversies around Valve’s lax attitude towards curation, community management and consumer rights. “I don't envy that because policing a platform sounds like a full-time job in and of itself - and that's not ever what they wanted to be. Nobody ever wants to be the cop. You're kinda hoping the community will behave. And I think that's a laudable thing to hang onto, rather than to revel in terrible behavior." Graeme says there’s a tendency by some inexperienced developers to just push something on a platform and expecting that platform to do the work. "I do think that's a little bit naive. There's a lot more to it than just having your game sitting on Steam and hoping that enough people put it on a wishlist so that you catapult up through the system." That said, "Frustratingly, I think there's not a lot of data to plug into. And I know that does make life difficult. If you're making an RPG-style game, where is the market that that's going to have the best kind of success? [It helps to know] whether it's Germany, Russia or China because then you can focus your efforts a bit more." As for whether there’s anything that Devolver Digital isn't up for publishing, Graeme brings up two kinds of games. “We don't really understand free-to-play, which doesn't mean we wouldn't do it but again it’s just not an area where we've got any in-house expertise. So we haven't done that." The other genre that Graeme doesn’t expect to finds its way onto the Devolver Digital family is sports games. “Unless Genital Jousting is a sports game, we'll probably stay away from EA's domain and let them have it."